DC’s Legends of Tomorrow must rewrite the past to save the future, beginning January 21 on The CW. 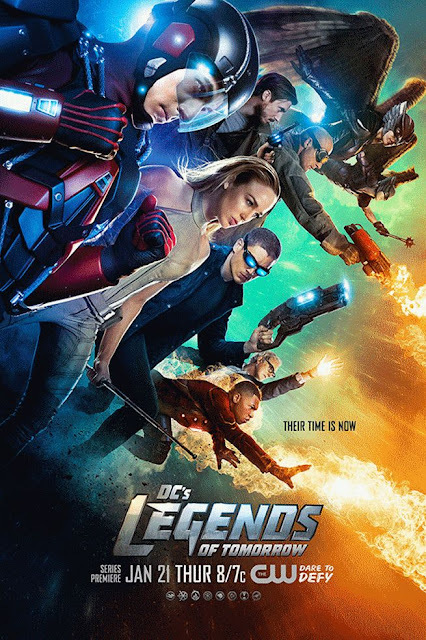 'Legends of Tomorrow' will land on Thursdays on the CW beginning January 21. The network released a fresh new poster and trailer. The team members have been introduced on 'Arrow' and 'The Flash' so they're ready to assemble as Rip Hunter explains in the trailer to defeat the immortal Vandal Savage from obliterating the world as they know it.